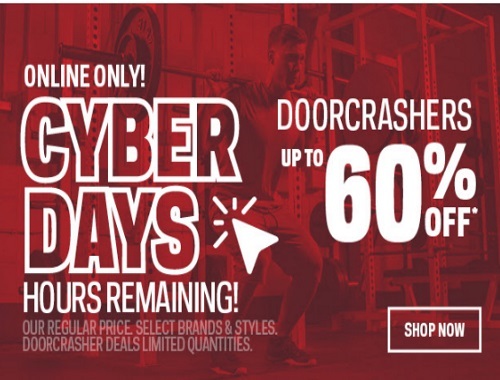 Sportchek's Cyber Days Sale is still on but ending soon! Save up to 60% off doorcrasher deals! Offer is online only. Offer applies to regular priced select brands and styles.